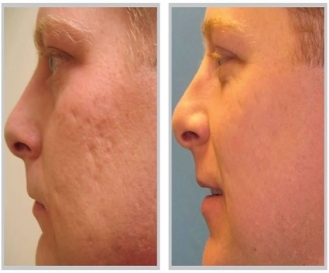 Among non-surgical processes, chemical peeling is popular, because it is easy and totally painless. Chemical peeling reduces oil content of the skin, and kills acne occurring bacteria. It stimulates collagen production which is the principal ingredient of any pits or scars. Chemical peeling is carried out between 2-8 weeks depending upon condition of your skin and overall health.